I’m so excited to share this new recipe with you! 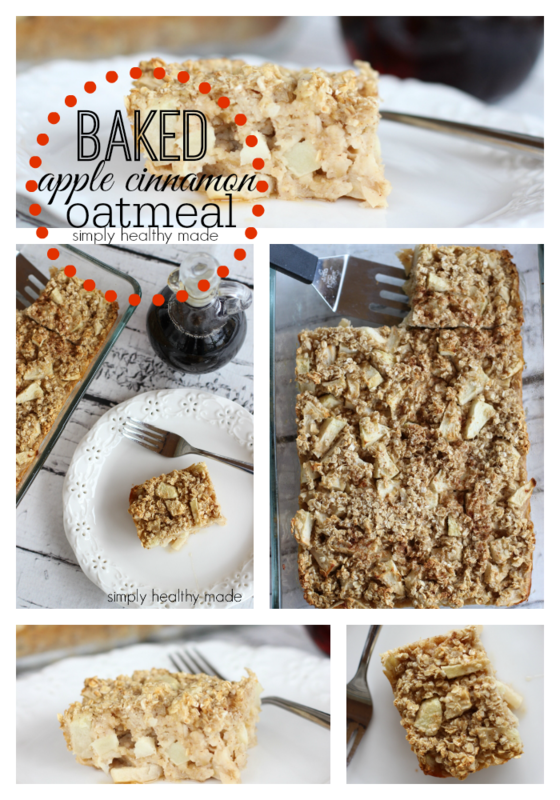 This Baked Apple Cinnamon Oatmeal is a great start to your day, not only is it delicious but it’s healthy too. Those are the best types of recipes if you ask me! 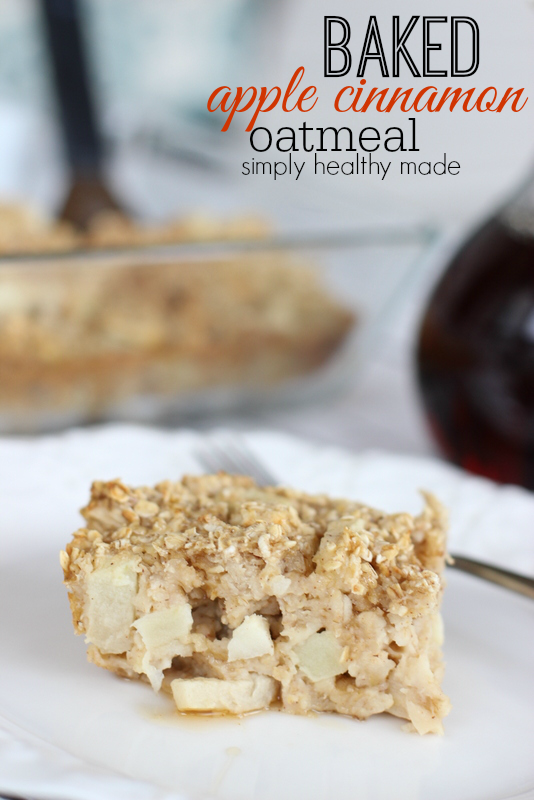 This recipe is full of oats, apples and sweetened with Maple Syrup, some great flavor combinations. You can even make this recipe the night before, stick it in the refrigerator and bake it first thing in the morning! 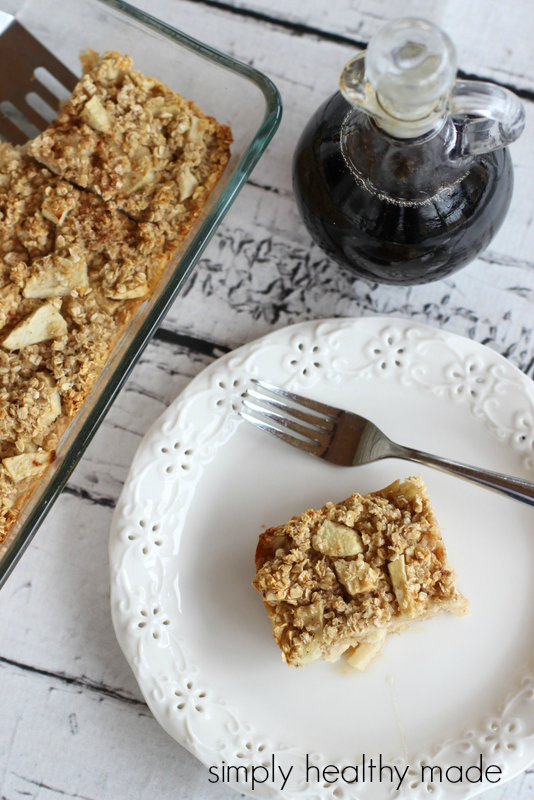 I love make ahead recipes like this, I think it will make a great addition to our Christmas morning breakfast! Check out how easy it is to make! Step 7 – Bake for 30 minutes, cut and serve. To add a little more protein to this recipe you could add some walnuts or pecans. I also topped mine with an extra little drizzle of maple syrup. It was fabulous! What do you think? Would your kids like this? Step 7 - Bake for 30 minutes, cut and serve.